GUERIN, BELLELLE (baptized Mary Ellen Gueren), author and social activist; b. 24 Sept. 1849 in Montreal, eldest child and only daughter of Thomas Gueren and Mary Maguire; d. unmarried there 28 Jan. 1929. The ancestors of Mary Ellen Gueren’s father originated in France and immigrated to Ireland in the 1600s. In the 1830s Thomas came to Lower Canada from Clonbeg (Republic of Ireland) and settled in Montreal. He married Mary Maguire, also of Irish descent, in 1848. In addition to Mary Ellen, the couple had five sons, one of whom died in infancy. Initially a surveyor, Thomas became a civil engineer. In 1861, while her parents resided temporarily in Ottawa, Mary Ellen was enrolled as a student boarder at the Pensionnat Mont-Sainte-Marie established by the Congregation of Notre-Dame in Montreal. There, she pursued the French-language program in subjects such as music, art, grammar, elocution, and cooking. Little is known about her activities for a period of 20 years after she left the Pensionnat at age 17. She would later be described as having become an accomplished poet as well as the author of historical sketches of prominent women in New France, but no trace of these writings has been found. Perhaps during this time she adopted the name Bellelle Guerin, by which she would be known for the rest of her life. In 1886 Bellelle took over the duties of raising the two young children of her brother James John Edmund after the death of his wife. The task occupied her for the next two decades. Her public career began in 1910, at age 61, with the election of James as mayor of Montreal. Bellelle acted as hostess for him, accompanied him to civic functions, and participated in such significant events as the International Eucharistic Congress, held in Montreal that year. This occasion was probably a catalytic moment for her. She was inspired by the suggestion of the visiting archbishop of Westminster, Francis Alphonsus Bourne, that she work to bring together the English-speaking Catholic women of Canada. About 1911 she published a tribute to a former mayor of Montreal, John Easton Mills, who had died in 1847 of typhus contracted while visiting the sick during an epidemic. “No greater hero is there,” she said, “than he who sacrifices his life on the altar of duty for charity’s sweet sake!” Her words presaged the motivating principle – the dedication of oneself to the welfare of others – that would soon mark the achievements for which she is best known. By 1917 Bellelle had become president of the Catholic Women’s Club, formerly the Ladies of Loyola Club. 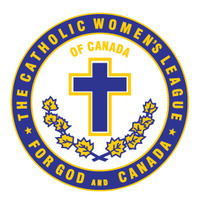 That June she wrote to Montreal’s Roman Catholic archbishop, Paul Bruchési*, requesting his blessing for the formation of another Catholic women’s group, a local chapter of the Catholic Women’s League, an organization which already existed in Edmonton [see Katherine Angelina Hughes], Boston, Chicago, and London, England. The Montreal CWL, Bellelle said, was meant to follow the model encouraged in England by Bourne and to unite English-speaking Catholic women for the purpose of “counsel, philanthropy and educational work in accordance with Catholic principles.” Bruchési gave his “hearty approval,” at the same time reminding Bellelle that “the French-speaking ladies of Montreal have a society with aims similar to the one you have in view, and which is known as the Fédération Nationale Saint-Jean-Baptiste [see Marie Lacoste*].” In November 1917 she called a meeting at which the Montreal branch of the CWL was founded, with herself as first president. For the next three years Bellelle presided over the Montreal branch, which by 1920 would grow to 440 members. The league was organized into various departments: art and literature, civics and education, current events, home economics, music, the Loyola Convalescent Home (opened in 1914 by the Ladies of Loyola Club), the Community House, and the junior branch. At weekly afternoon meetings speakers addressed the women on such topics as “Canada’s contribution to modern art,” “Catholic women and the vote,” and “Homemaking as a profession.” Departments presented reports, the most crucial being that of the Loyola Convalescent Home, which in 1920–21 provided care for 125 patients at a daily cost of $1.10 per patient. While the CWL continued to grow, Bellelle had been active in other organizations, particularly those connected with the war effort. She was the English-language editor of the bilingual L’Aide à la France (Montréal), published in 1918 to raise funds for soldiers and refugees in France and Belgium. In addition she worked with the Canadian Red Cross Society and the Canadian Patriotic Fund. During her tenure as national president Bellelle saw the CWL become an important force for the integration of Catholic immigrants into the community, as well as an advocate for legislation affecting women, such as minimum wage acts and the Mothers’ Allowance Act of Ontario. She promoted what she termed “Catholic feminism,” which, according to her, called for a woman “to direct thought, to guard morals, and to carry her influence into the scale of justice whenever righteousness demands.” Sometime after 1921 she changed the league’s motto from Laborare est orare (“To labour is to pray”) to the more inclusive and patriotic “For God and Canada.” She also wrote English lyrics to “O Canada,” composed in 1880 by Calixa Lavallée* with French lyrics by Adolphe-Basile Routhier*. As she later explained, “It was my earnest desire that we should all hear the same words, the same sentiments as well as the same beautiful melody as our French Canadian fellow citizens.” Adopted by all league subdivisions and sung at the close of meetings, these lyrics were accepted by the Catholic committee of the Council of Public Instruction of the Province of Quebec in 1924, but they would not replace the more widely used version published by Robert Stanley Weir in 1908. Bellelle’s role in the CWL was recognized in 1922 at a meeting of the International Union of Catholic Women’s Leagues in Rome, when she became the first woman in Canada to receive La Croce Pro Ecclesia et Pontifice from the papacy. She was also favoured with a letter praising her good works and with an apostolic benediction from the Vatican. By 1923 the national membership of the CWL had grown to 50,000. At the annual convention held in Halifax, Bellelle was made honorary president for life and Frances Lovering [Mahony] was elected president. Bellelle Guerin died in 1929 at age 79. That same year the Montreal branch of the CWL established an annual scholarship in her memory at Marianopolis College, a private college for women. She exemplified those women in Canadian society who acted on behalf of a vision based on faith, Catholic feminism, philanthropy, and patriotism. Bellelle Guerin is the author of John Easton Mills: the martyr mayor of Montreal ([Montreal?, 1911?]). ANQ-M, CE601-S51, 7 nov. 1848, 30 sept. 1849. Arch. de la Chancellerie de l’Archevêché de Montréal, 773.115 (Catholic Women’s League of Canada/Plan national – Corr. générale, 1893–1925). Arch. de la Congrégation de Notre-Dame (Montréal), 312.560 (Mont-Sainte-Marie), nos.008, 161, 178–79, 257, 267. TRL, SC, Biog. files, vol.16: 719–21. Canadian men and women of the time (Morgan; 1898 and 1912). 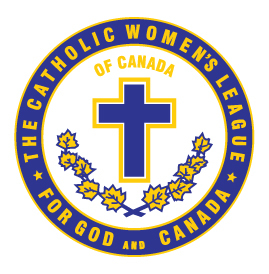 “Except the Lord build the house . . .”: a history of the Catholic Women’s League of Canada, 1920–1990, comp. V. J. Fall (Winnipeg, 1990). J. Hamelin et al., La presse québécoise, vol.5. Ross Hamilton, Prominent men of Canada, 1931–32 (Montreal, [1932?]). [D.-A. Lemire-Marsolais, dite Sainte-Henriette, et] Thérèse Lambert, dite Sainte-Marie-Médiatrice, Histoire de la Congrégation de Notre-Dame (11v. en 13 parus, Montréal, 1941–? ), 10. Sheila Ross, “‘For God and Canada’: the early years of the Catholic Women’s League in Alberta,” CCHA, Hist. studies, 62 (1996): 98–108. Women of Canada (Montreal, 1930). Molly Pulver Ungar and Vicky Bach, “GUERIN, BELLELLE,” in Dictionary of Canadian Biography, vol. 15, University of Toronto/Université Laval, 2003–, accessed April 18, 2019, http://www.biographi.ca/en/bio/guerin_bellelle_15E.html.